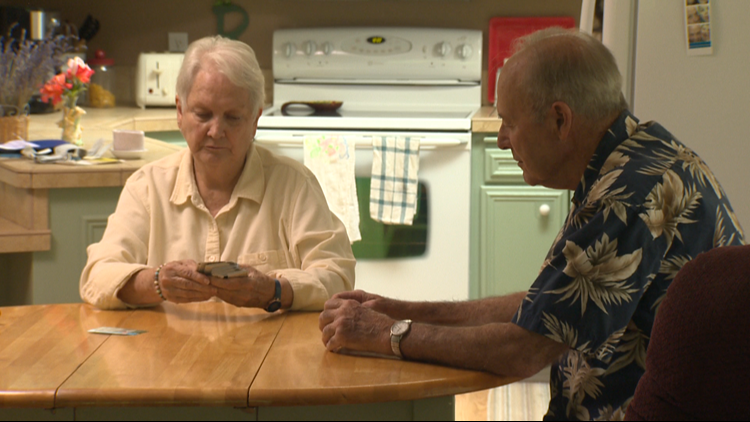 If you've got aging parents or grandparents, odds are, they're being targeted by scammers. 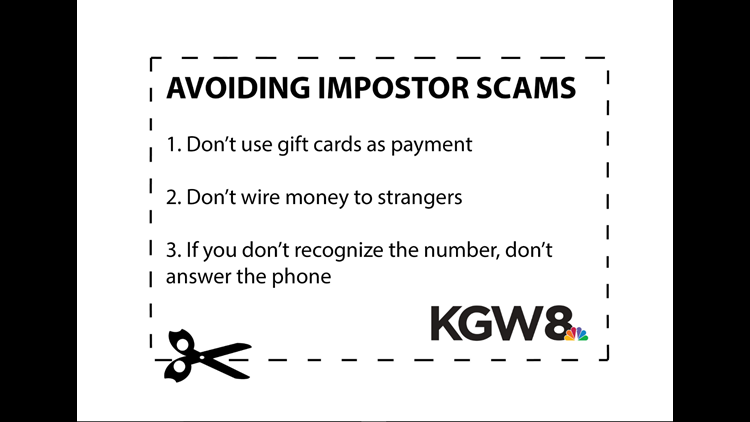 PORTLAND, Ore. — If you’ve got aging parents or grandparents, odds are, they’re being targeted by scammers. The fraudsters often use databases to identify seniors. They call them posing as IRS agents, computer tech support or a family member to try to steal money. “I can’t tell you how many cases I’ve seen where, here’s a list of 400,000 people over the age of 75, and that’s the only people they called,” explained Doug Shadel, AARP director for Washington. According to the Federal Trade Commission, reports of impostor scams have grown by nearly 500 percent over the past four years, totaling more than 400,000 complaints nationwide in 2016. In Oregon, the FTC received more complaints last year about impostor scams than any other type of fraud. Impostor scams accounted for 24 percent of consumer complaints. “You just feel violated. You feel scared,” explained Rose Mitchell, 74, of Portland. Mitchell and her husband lost $45,000 in an impostor scam. “Our generation -- people don’t do things like that,” she said. A con artist called Mitchell posing as her grandson, claiming he needed legal help after getting arrested. “He was crying. He sounded scared. I’d do anything for my grandbaby,” said Mitchell. Over five days, Mitchell and her husband purchased gift cards ranging from $500 to $1,000 from Home Depot and Walmart stores in the Portland area. By the time the couple realized it was a hoax, the scammer was gone and the gift cards had been drained. “That was our nest egg and our inheritance for our kids,” said Mitchell. The Portland couple continues to get roughly 25 calls per week from telemarketers. They suspect many are scammers. Seniors are especially vulnerable because they are often polite and trusting. They’re attractive to con artists because seniors are most likely to have money saved, own their own home and have good credit. Older victims are also often hesitant to report crime because they’re embarrassed. To protect your aging parents or grandparents, it is important to talk to them about common tactics scammers use. Imposters often ask victims to pay using gift cards. Tell your grandparents: Never use gift cards as payment. If someone asks them to pay with iTunes cards, a prepaid Visa or some other gift card, it’s a scam. “Legitimate companies do not ask to be paid in gift cards. The government does not ask to be paid in gift cards,” explained Chuck Harwood of the Federal Trade Commission. It is a common tactic for scammers to pressure victims to wire funds as payment, so they can get the money before victims realize what happened. There are no protections for the sender. It’s like sending cash. Scammers are relentless. They’ll keep calling, often using fake caller ID. If you don’t recognize the number, let the call go to voicemail. That will give you time to think about who is calling, if it is legitimate, and then decide if you want to call back.